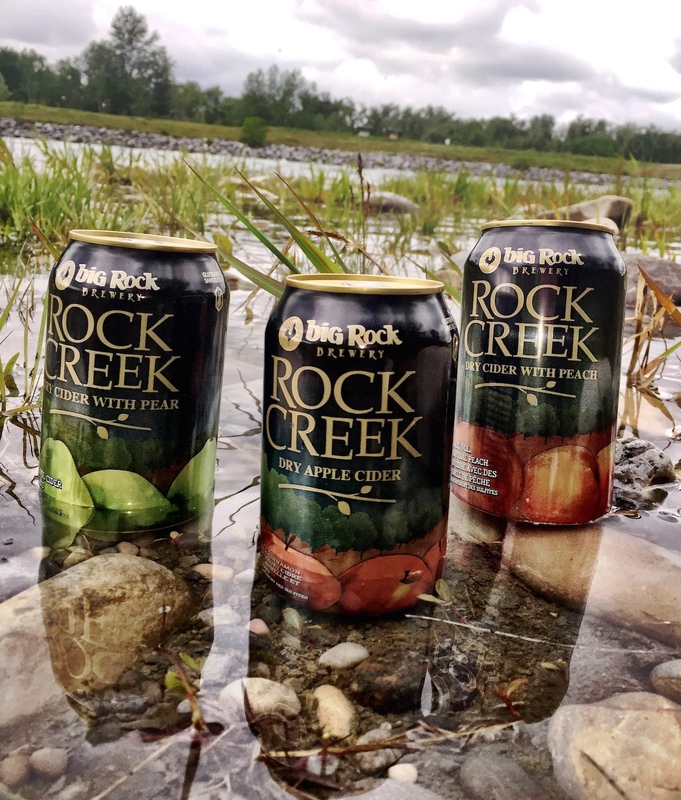 This review of Big Rock Brewery’s beer and cider variety packs is part of the Beer Maven’s summer series “Patio Crushables”. A perfectly refreshing, thirst quenching hop first lager. Pours a striking golden straw colour with a light foamy head. Long lasting carbonation and my favorite out of the pack. You can really taste the quality of the mosaic hops. Ode to my very first craft beer, served with a traditional slice of lemon. Grasshopper is an Albertan staple made with AB grown wheat & barley. The ultimate summer sippin, patio crushable, sunshine in a glass Grasshopper Wheat Ale. A naturally light kolsch with a 100% ease of drinkability. These babies go down fast, a hint of noble hops balance the Pale & Vienna malts. (Sometimes even I like to drink other things than beer, cider is a natural switch for me and this variety 6-pack goes down so smooth). High carbonation, fresh apples paired with ripened peaches makes for a beautiful marriage. This cider offers an intense peach aroma followed through with a strong peach lead and clean finish. A deadly peachlicious summer bevy. Brewed with Okanagan apples, pours a deep golden colour. Hints of cinnamon and vanilla. Easy drinking refreshing sweet Canadian cider. I think Big Rock grabbed a bunch of bartlett pears and squeezed them into cans! Oh yeah, and with the effervescence of champagne. If that doesn’t convince you to try this let your girlfriend or wife read this. Or better yet (pour it into a champagne glass with a thin slice of pear and hand that to her) You’re welcome. Visit your favourite local breweries with Calgary Brewery Tours for an education in craft beer like no other.